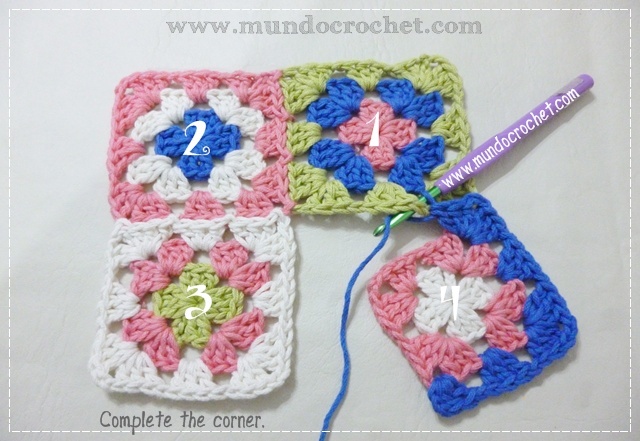 In a previous post we learn how to crochet a granny square. 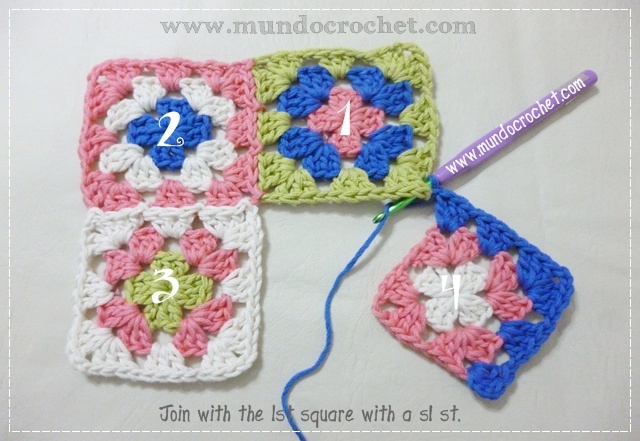 I hope you have practiced, because today I want to show you how to join these squares. 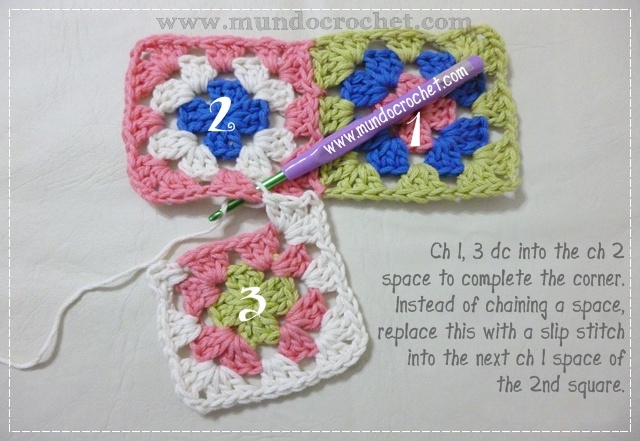 On the web, in magazines or books you can find many ways or methods to join granny squares. 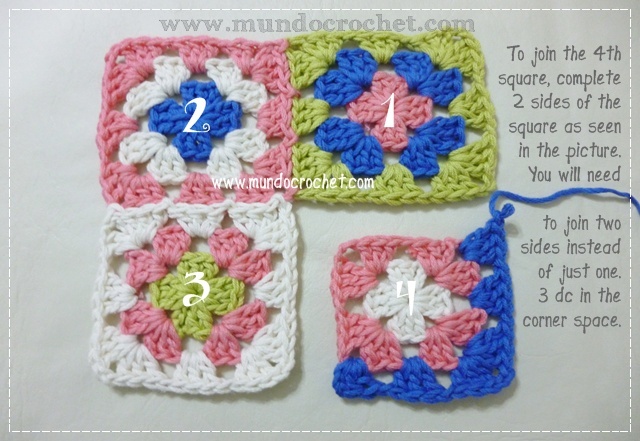 Basically, these methods can be divided into two groups: those which join squares as you go; and those in which the squares are crocheted first and then joined. 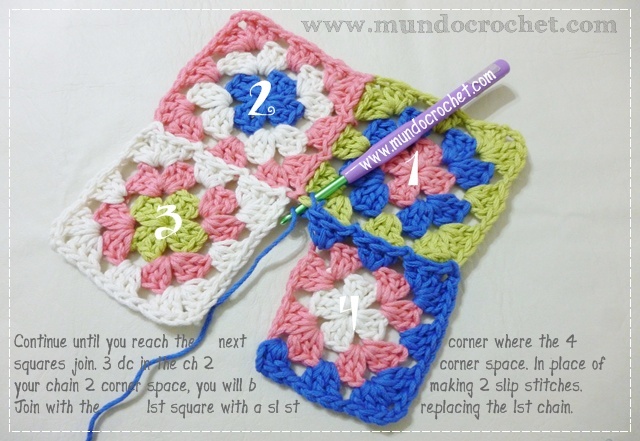 The advantage of the first group is that we avoid the joining procedure after we crochet the squares, especially when you are crocheting a project, which involves joining several squares (for instance, for a blanket). 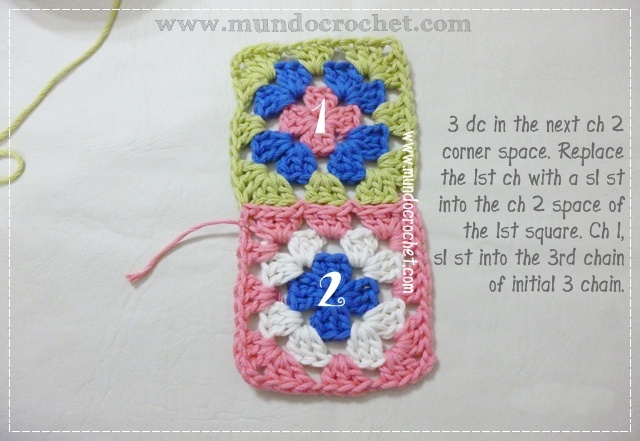 The advantage of the second group is that the joining gives a nice touch, especially if it is crocheted in colours that highlight the joining or the colours of the squares. 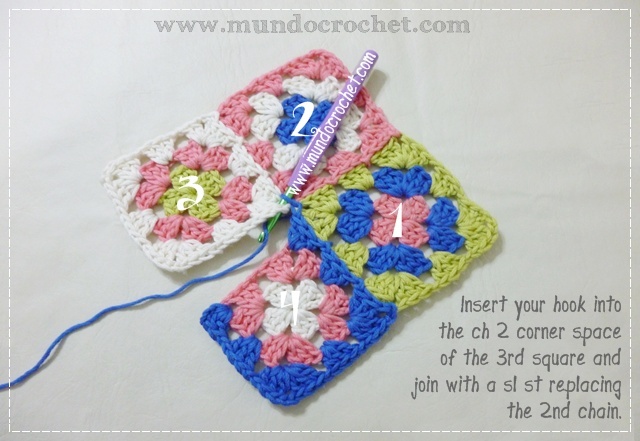 Today I will show you a method of joining the squares as you go. 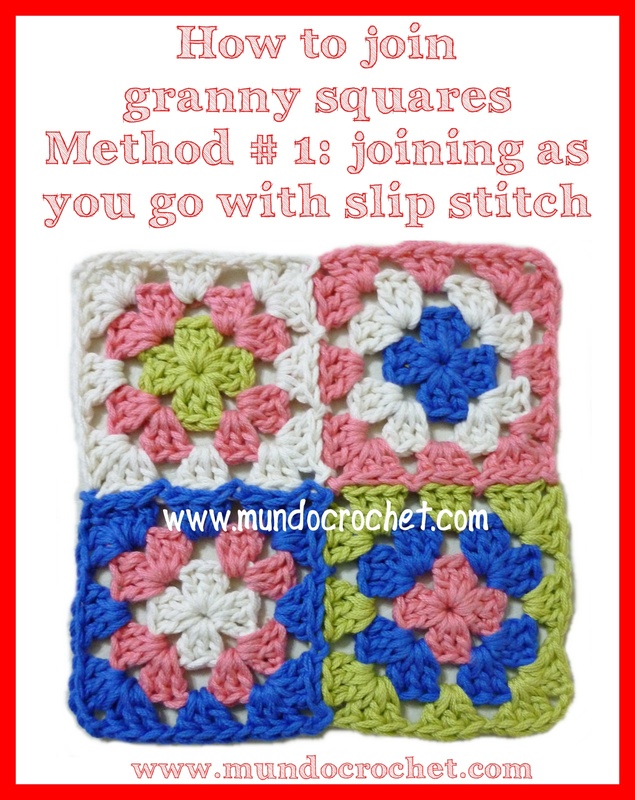 In the next posts I will show you the other methods. 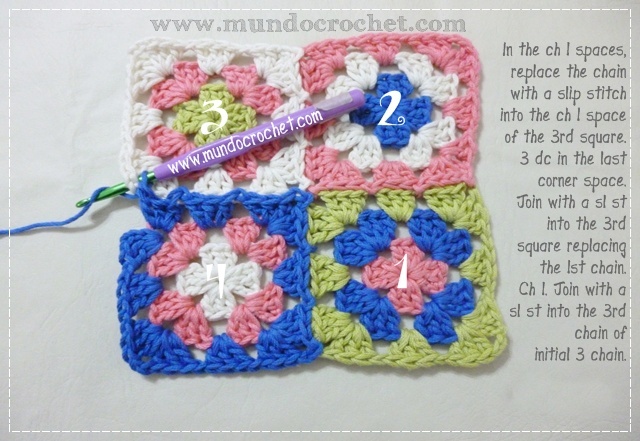 Here you can see the chart for the joining. 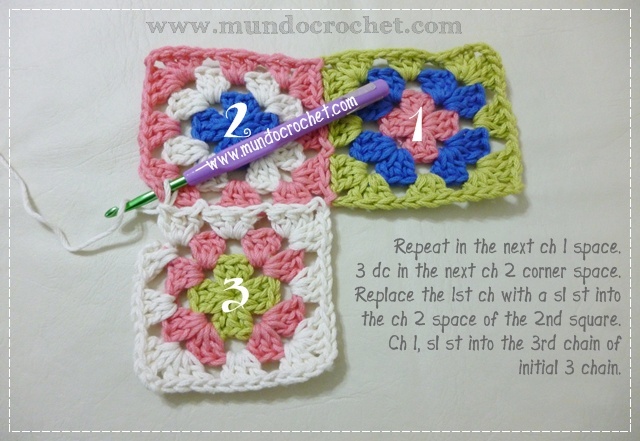 The arrows indicate the points where you have to crochet a slip stitch. I hope you like it. 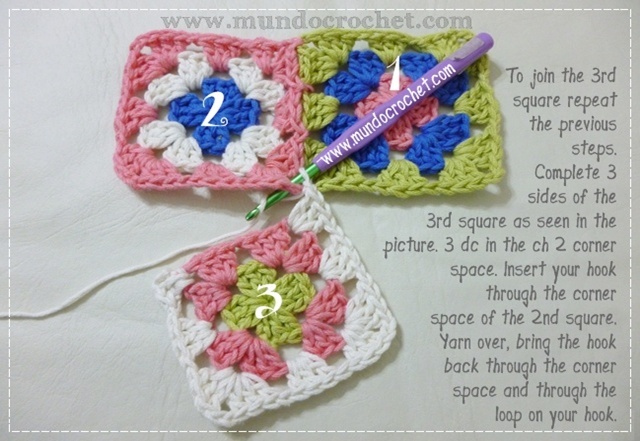 Don´t forget to send me the pictures of your projects using the pattern of the blog to soledad@mundocrochet.com o share them in the facebook page of Mundo Crochet! 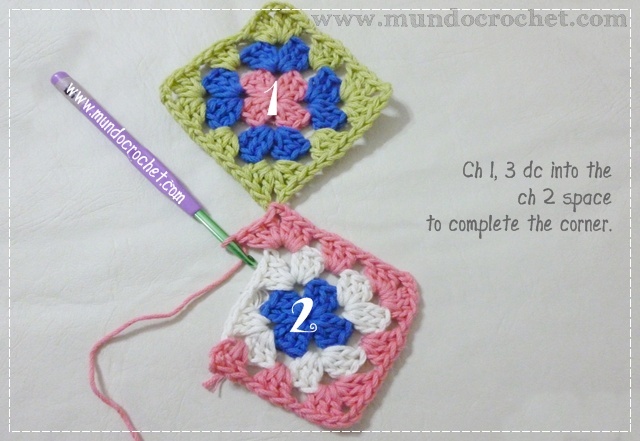 This entry was posted in Learning crochet, Motifs, Tutorial and tagged Learning crochet, Motifs, Tutorial. 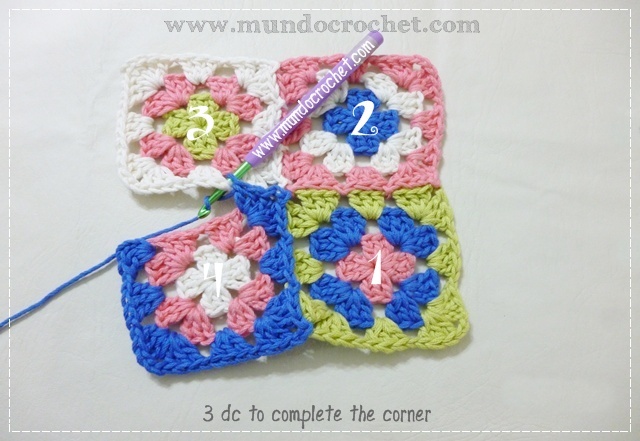 Gracias y con abrazos!……. 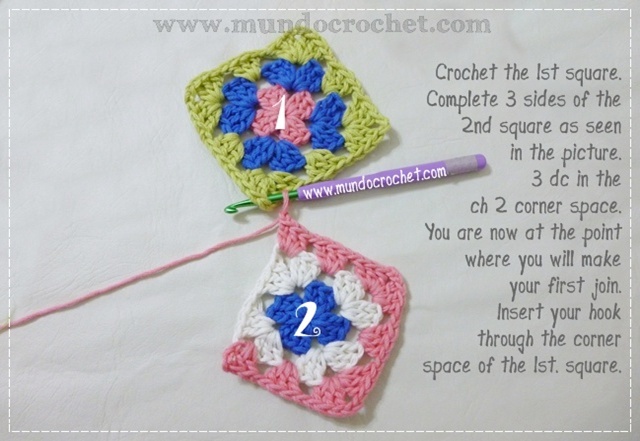 thank you so much for this really helpful tutorial. 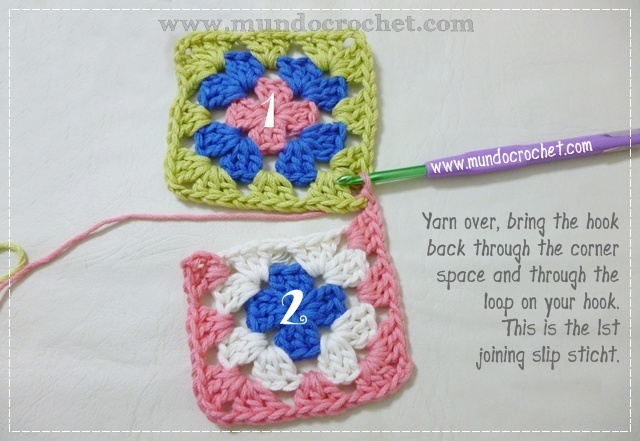 So often we just love granny squares but figuring out the connection isn’t always the most fun. 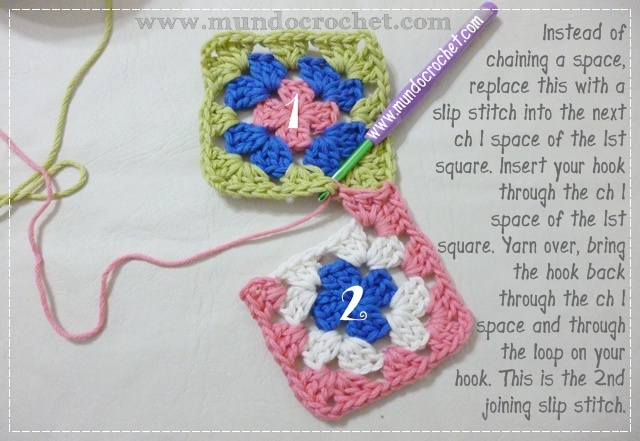 THis is a great way and I am definitely going to try it and recommend it to my group…… STitches from the Heart Org ( local chapter). Muchas gracias! 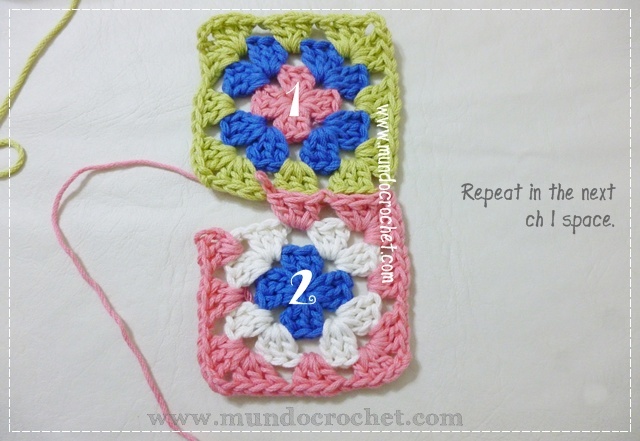 Me alegra que te haya resultado útil.